Blazers: Portland is 17-18 on the road this season after going 21-20 last season. … Enes Kanter was scoreless and had four rebounds and an assist in 14 minutes. Kanter was averaging 14.3 points, 8.3 rebounds and 2.0 assists in his previous three games. Spurs: Aldridge has 18,331 points, moving past Hall of Famer Dave Bing for 70th in career scoring. Bing had 18,328 points in 12 seasons, including his first nine with Detroit. 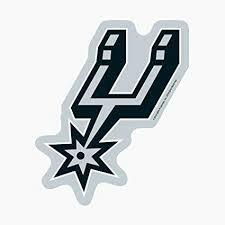 … Forbes has 250 career 3-pointers, joining Gary Neal and Bertans as the only players in Spurs history to accomplish that feat in their first three seasons with the team. . San Antonio has 17 home winning streaks of 10-plus games under Popovich.